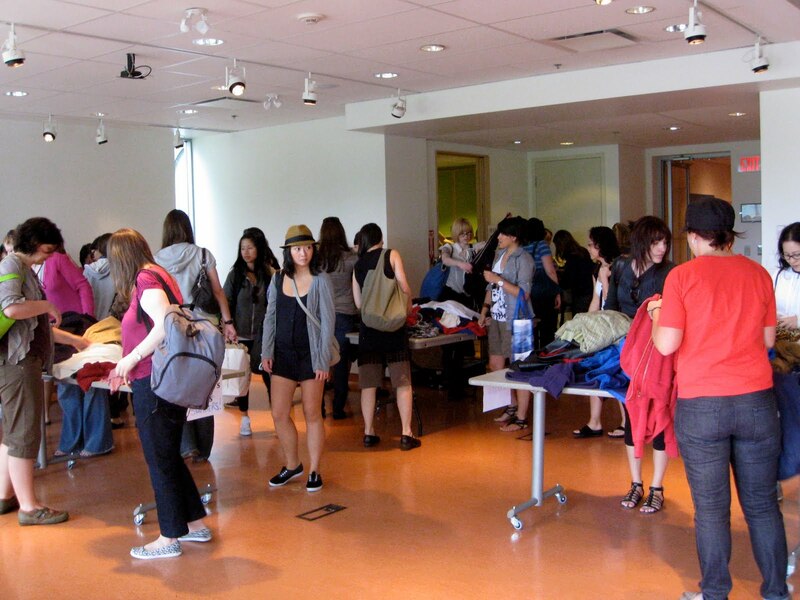 Swap-O-Rama-Rama (Yes, the second 'rama' is very important!) took place last month at the Museum of Vancouver. 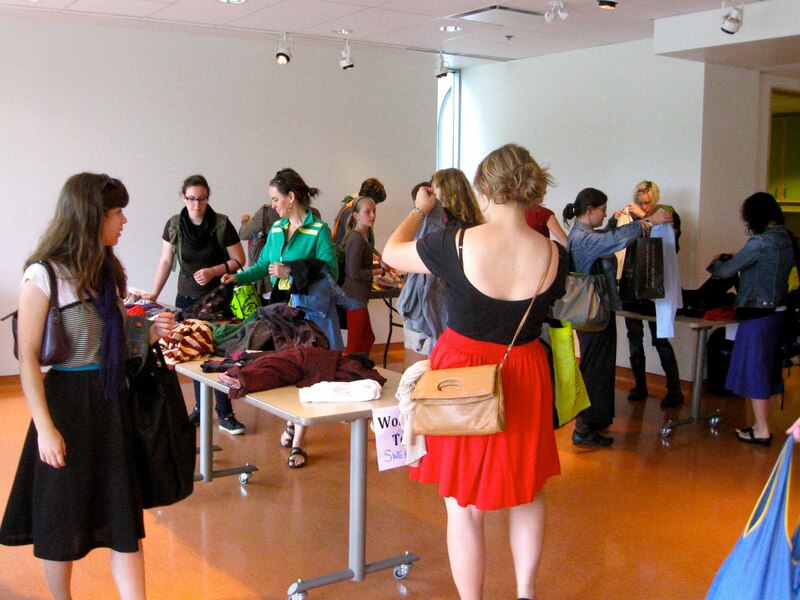 Basically, the event is a giant clothing and craft supply swap where each attendee brings a bag of clothing or supplies which are then sorted, categorized and then brought out to the corresponding table in the communal room. Once you drop off your bag at the front desk, it is a free for all, so don't be afraid to go digging for treasure! 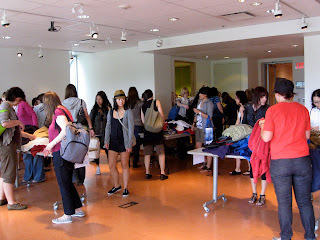 You can check out Lisa's finds from the event over on her blog. 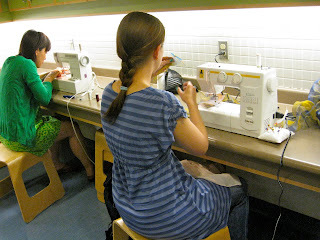 Sewing stations provided by the girls from Plush on Main were available for people to alter their finds and turn them into new creations. 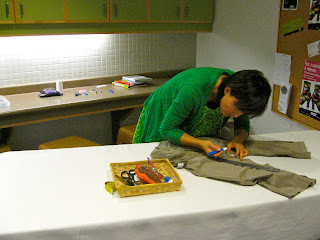 One girl turned her found pants into a new pair of shorts and another girl whipped up a ruffled slip dress. 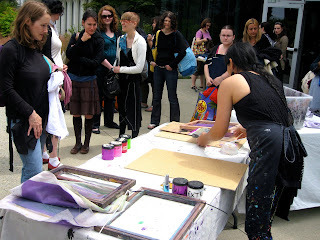 Blim was outside on the patio screen printing a slew of different designs on people's pants, t-shirts, you name it! If you missed the event this year, not to worry. Swap-O-Rama-Rama is an annual event, just drop us a comment or send us an email at info(at)gotcraft(dot)com to be added to our mailing list. See you next year!